In New York City the Mayor and Chancellor hide their mass layoffs. The CPS layoffs. We are a target and it’s bad management practice. Part of the list of 1,000 CPS employees, teachers and support staff that were hit by layoffs yesterday. I always have to explain to visitors that there is an everywhere except Chicago rule in the state of Illinois. When I taught and was a union leader in Park Ridge, a Chicago suburb, if the district was going to lay-off a teacher due to low-enrollment or budget issues, they needed to do it 45 working days before the end of the school year. This is state law. The law gives teachers time to find other employment and it prevents massive disruption. The kind we are seeing now with 1000 CPS employees fired a month before school begins. But in 1995 the law was changed by an amendatory act that excluded Chicago teachers and CPS from that protection. It is the same law that keeps us from having an elected school board even though every other district in Illinois has an elected board. For whatever reason – because our system is poor, because we have mostly students of color, because we have militant union and activist teachers – Chicago has a target on its back. This morning veteran teachers with 15 years of experience are trying to figure out what they are going to do now that they just found out that their job is gone. Students and families have to figure out what they are going to do. Teachers are programs. A school with only one music teacher now has no music teacher and no music program. A shop teacher who spent last year recruiting students from around the district to his one-of-a-kind program is out and the students are left hanging. The list of disruptions is long. Contacts with the Chicago Teachers Union tell me that they have battled the everywhere but Chicago rule all the way through the courts, losing finally in 2010. The Illinois law that sets a time-table for what we call RIFs (Reduction in Force) is a good rule for labor and management. It works everywhere in the state. If it is good for everyone else then we have to say that either Chicago is a target or it is bad management practice. about 1,000 teaching vacancies, officials said. Chicago Public Schools is laying off more than 500 teachers and another 500 school-based staff members, the district said Friday. The teachers being laid off will be eligible to apply for jobs in the district, which has about 1,000 teaching vacancies, officials said. The majority of affected personnel are expected to be hired into open positions at other schools, CPS said. In past years, about 60 percent of teachers who have been laid off have been rehired in full-time positions in the district, CPS said. 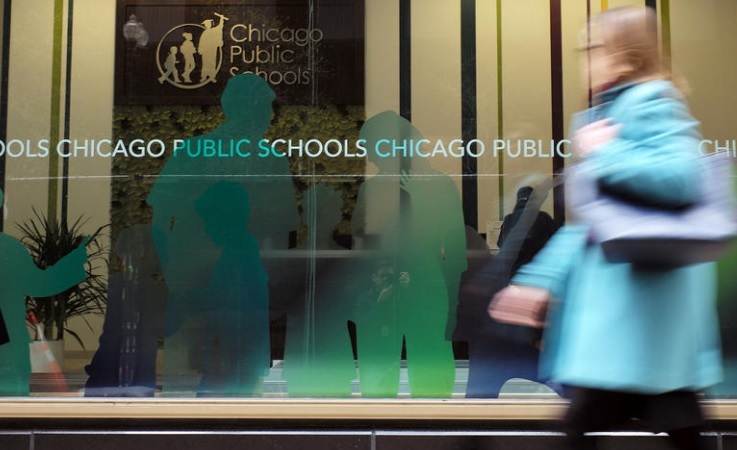 The layoffs and rehirings occur regularly at CPS as principals respond to changes in enrollment. The district said 273 of the 500-plus district-run schools will have no teacher or staff impacts in the coming year. 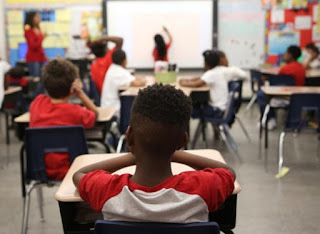 The layoffs broke down this way: 314 elementary school teachers and 194 high school teachers for a total of 508, and 378 elementary personnel and 143 high school support staff, for a total of 521. Many of the staff reductions are related to enrollment, according to numbers distributed by CPS late Friday, especially at high schools that are projected to lose large numbers of students. However, some schools projected to see higher enrollment and more funding still lost staff. The Chicago Teachers Union criticized the layoffs, saying in a statement that "the gutting of experienced educators and other school employees only weakens schools and puts children at a disadvantage." The district says the $2.8 billion it has budgeted to spend at schools this year is about $140 million less than schools got last September and reflects unprecedented midsemester budget cuts CPS made in February. While CPS has said budget adjustments are driven by enrollment, about 70 schools are set to receive less money compared with what they were left with in the middle of last year despite increased or flat enrollment. Funding reductions for some of those schools are quite small, but district data show about 30 schools with flat or growing enrollment are projected to lose $50,000 to $200,000. At the same time, about 50 other buildings with enrollments projected to decline or stay flat actually received more money compared with what they spent after the midyear reductions.